Made of cardboard, for self-assembly, no glue required. The set includes: 19 elements. Assembled size: 48 x 36 x 25 cm. Easy to follow instructions will help in a quick and trouble-free assembly. The set is packed in a aesthetic and practical box. The Harbor Pirates are a toy dedicated mainly for boys. Just like in case of the STABLE, only kid’s imagination limits the ways to play. Next Post Stable & Horses – awarded: “Toy of the Year 2017”. BURUBAMBA company is special. 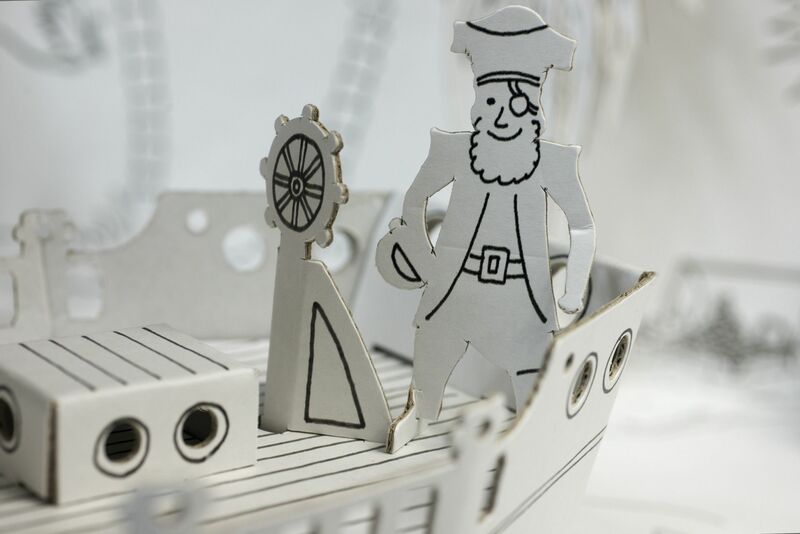 It was found design creative 3d paper toys for kids. All of our products were created by artists and designers. 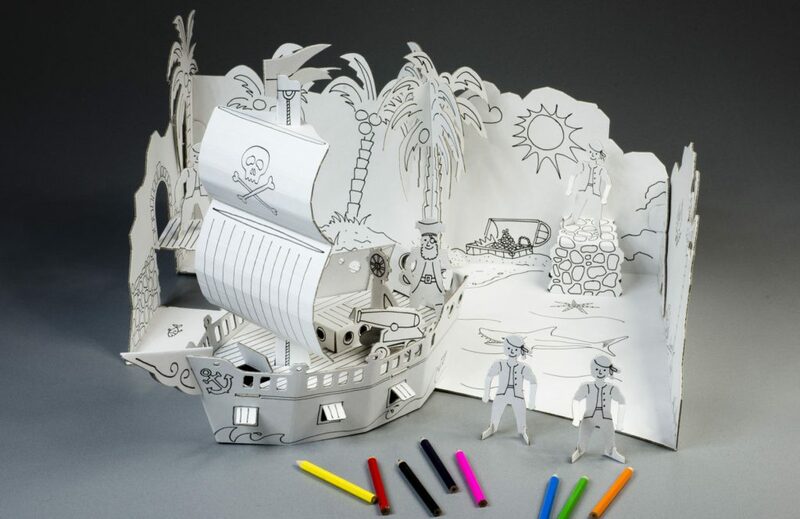 Our team members are paper design experts – we operate in the industry for more than a decade. The projects we present are first of upcoming toys series. We hope that our future products will be a great offer for kids. They shall entertain as well as stimulate development of spatial imagination and aesthetics. 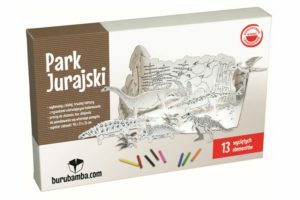 Keep up with BURUBAMBY website and check out the upcoming products! 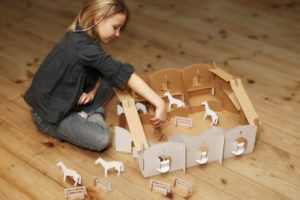 Stable & Horses – awarded: “Toy of the Year 2017”.